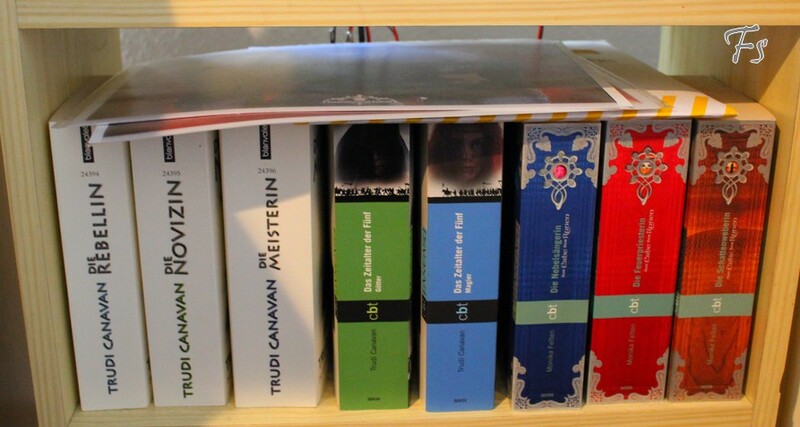 Just some books (“The Black Magician” trilogy and the “Age of the Five” one) by Trudi Canavan and a high fantasy series by Monika Felten. I also own the first two books from her “The Traitors Spy” series, but they still need a place of their own. On top of my book are two Photo Ops from Supernatural Conventions.